Scooter use is on the rise thanks to electric scooter rideshare companies like Bird, Lime and Skip, but many emergency room doctors are warning that these seemingly harmless vehicles are just as dangerous as other motorized vehicles. Whether you take advantage of rideshare services or own your own scooter, this two-part guide provides practical tips to keep you safe and arms you with valuable information in the event you are in a scooter accident. Scooter rideshare companies Bird and Lime have introduced rentable e-scooters in over 100 cities and given over 20 million rides since they stormed the streets over one year ago. 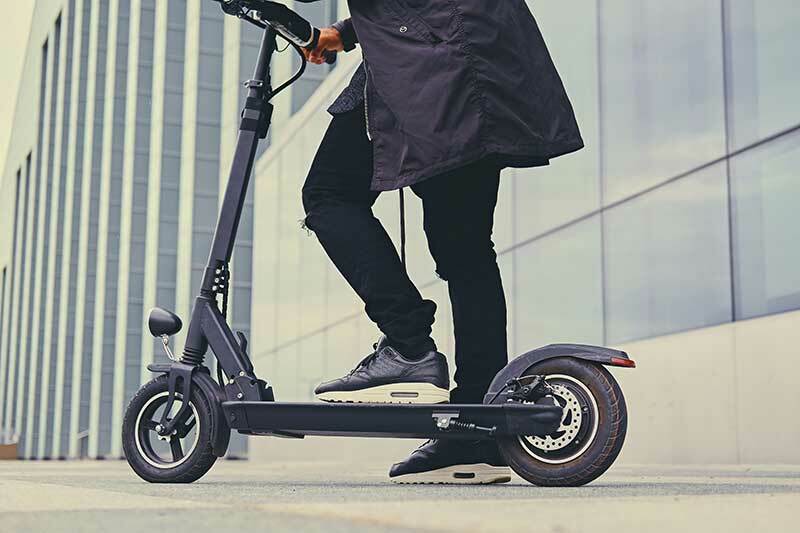 These vehicles provide an inexpensive mode of transportation both in terms of the purchase price or rental fees, and many see scooters as an opportunity to get you that last mile or short distance, especially in heavily populated areas where parking is difficult or expensive. However, part of the danger of scooters lies in peoples’ misconception that scooters are simply a fun, recreational toy. ignorance of scooter laws, which vary between municipalities (e.g., scooters permitted on sidewalks in Denver, but only bike lanes or streets in California). read the terms of service so you understand what rights you are giving up, which may include the right to file a lawsuit in court. If you have been injured in a scooter accident or have questions about a personal injury settlement, call the experienced staff at the Kelly Law Team for a free consultation 602-283-4122.